General Overseer of Redeemed Christian Church of God (RCCG), Mr Enoch Adeboye, has urged Christians to register for their Permanent Voters Cards (PVCs). The cleric said Christians who show any form of indifference about their PVCs might sin against God. Adeboye spoke at a special prayer and thanksgiving for expectant mothers, medics, paramedics and all those seeking medical attention. The event was organised by RCCG’s national headquarters Throne of Grace Parish on Redemption Way in Ebutte Metta, Lagos. It was tagged: Hope for the Hopeless and was attended by thousands of christians from across the country. The event comprised prayer, bible teaching and prophetic impartation. Adeboye said as 2019 draws nearer and Nigerians will choose those to lead them for another four years, Christians must get their PVCs to choose politicians of their choice. The cleric said eligible Christian voters who fail to get their PVCs would commit a sin against God. According to him, the scriptures says give therefore unto Caesar the things which are Caesar’s and unto God the things that are God’s. 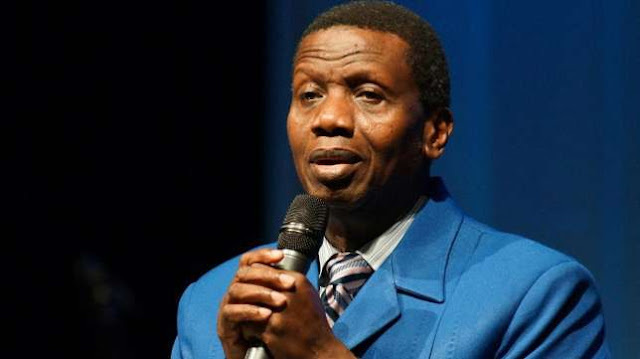 Although he said the bible enjoins Christians to pray for kings and those in positions of authority, Adeboye added that voting is a civil right that must be obeyed and followed by all eligible voters. He said Nigerians should also vote out politicians who are aiding and supporting the killing of fellow beings, irrespective of who they are. Adeboye decried the killings in Benue and other parts of the country, saying they cast a dent on the present government for its alleged failure to protect the people. The cleric, who supported the concern raised by American President Donald Trump, noted that every right-thinking person would decry the killing of thousands of innocent people in any part of the country. He challenged the National Assembly to pass this year’s budget as quickly as possible in the interest of Nigerians. According to him, National Assembly members were elected to serve the interest, yearnings and hopes of the ordinary Nigerians and not for backing the selfish interests of some people.